Don't forget a Gift Voucher definitely tells your loved one how special they are! You can choose either a set value for the voucher or choose a treatment. 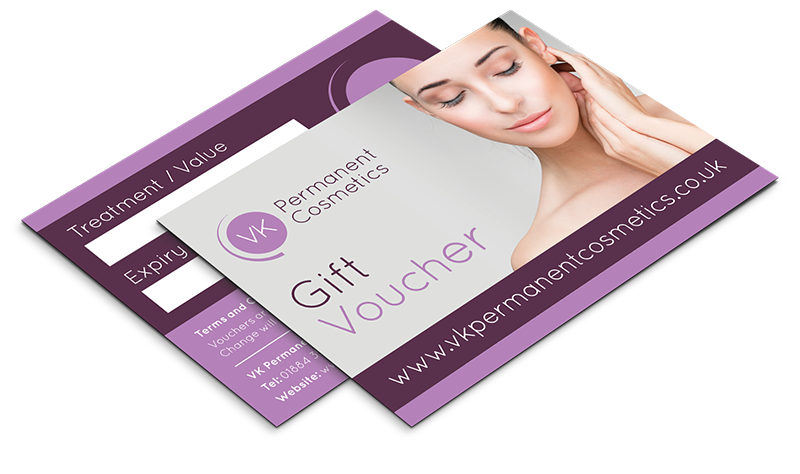 Gift vouchers are A6 in size and come with a white envelope included. A postage and packaging charge of £1 will be added at the checkout. Important - Please ensure you add your delivery address on the PayPal checkout page. Vouchers are not accepted after the expiry date. Change will not be given if full voucher not used. © VK Permanent Cosmetics 2018.